Inbetween Time is a unique Festival of live art and intrigue which takes place each year at the Arnolfini Gallery Bristol’s contemporary art centre. 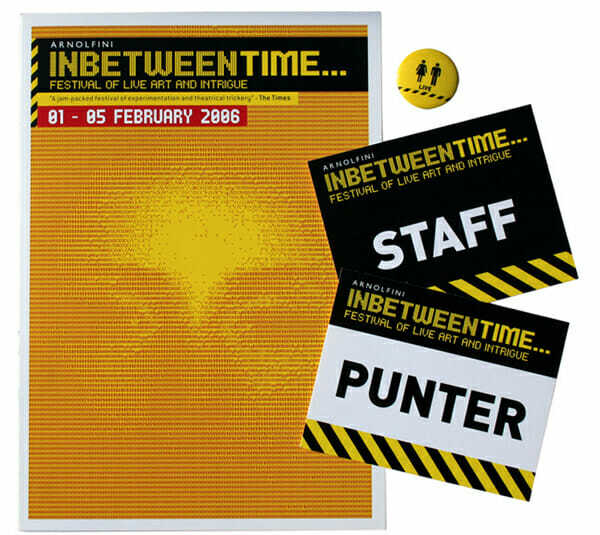 This was a particularly interesting design brief to tackle as the main stipulation was that the design should use the colours that had become associated with the Festival and the imagery reflect the anarchic and strange world of performance art. 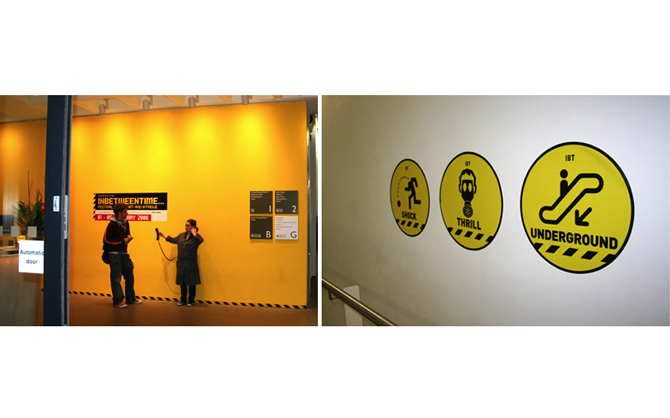 Our response was a mix of haunting ACSII text portraits, subversive information graphics and hazard signs. 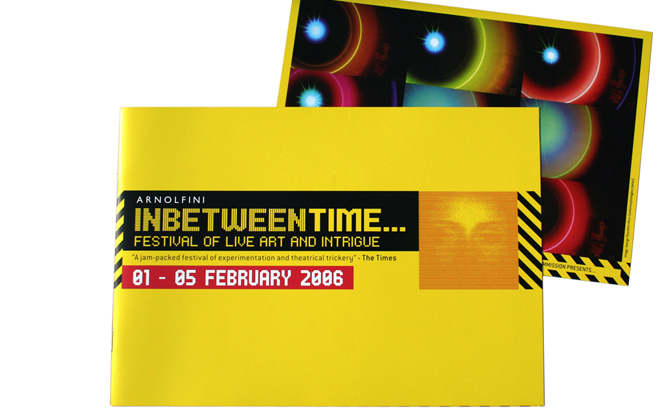 The project required various printed matter, flyers, posters, leaflets, banners as well as on site design within Arnolfini’s gallery space.